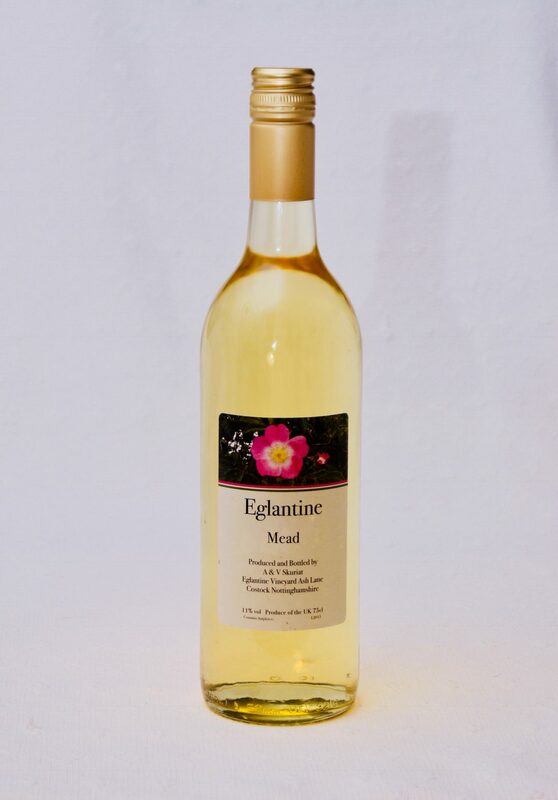 From our parent vineyard – Eglantine Vineyard in Nottinghamshire – this is simply made using honey collected from the bee hives on the vineyard. Eglantine Mead has a reputation for being one of the most authentic honey drinks in the country. It has a rich honey nose, a smooth feel on the palate and the delicious lingering flavour. Made only from honey, water and yeast, it’s a decadent accompaniment to dessert. Drink anytime; especially loved by re-enactors! Keeps exceptionally well once opened. Available to purchase for only £12.50 from our website or direct from our Cellar Door Shop, please check our Open Hours before travelling or call to make an appointment 01949 81393. This is made using no animal products and is vegetarian.